Let’s get this straight—coloring your hair can be a little daunting at first, especially if you’ve never tried it before. It doesn’t help that there are just way too many possibilities to choose from, whether it be a bold, bright, and crazy shade or a subtly natural color that’d make your features pop. Here’s one low-maintenance alternative you could start with: highlights. Getting highlights is pretty foolproof for anyone of any type of hair. They’re also great if you’re looking for something that’s not too big of a change. Plus, you can’t deny that highlights are absolutely gorgeous to look at (Instagram-worthy, too). New salon techniques such as microhighlights and balayage have emerged to make your mane look even better and more natural than those chunky highlights that were big in the ‘90s and early 2000s. Need some more convincing? 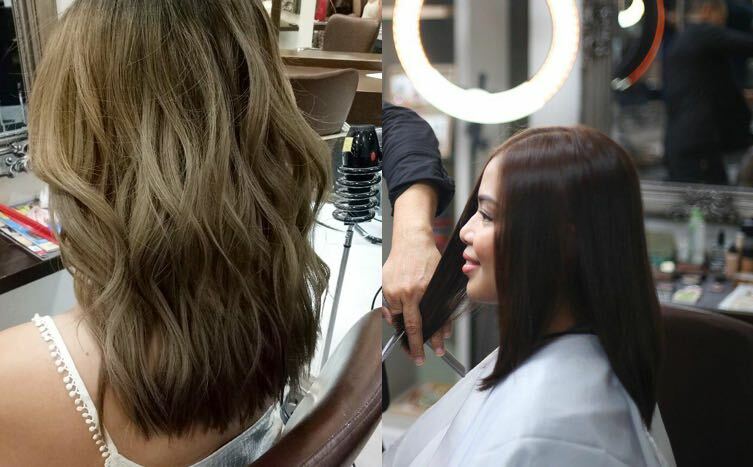 You can go ahead and check out these five salons that can give you the most gorgeous highlighted locks in the metro. 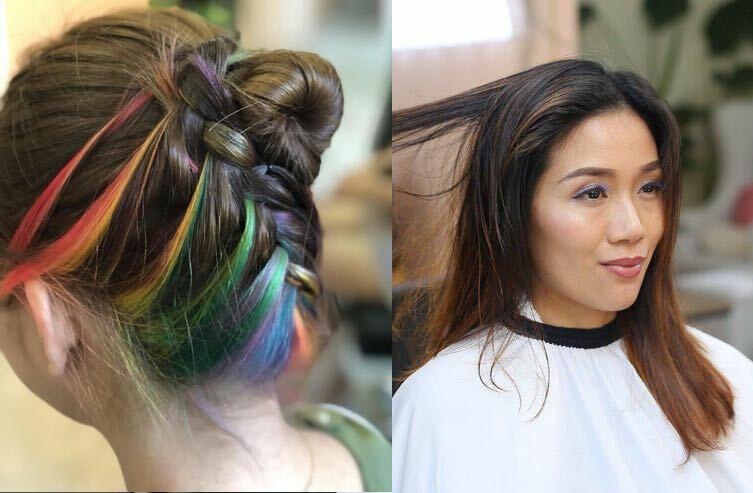 If you didn’t know yet, Creations by Lourd Ramos is one of the most trusted and sought-after salons for those in search for a good dye job. Looking for the ultimate hair makeover? The salon’s Cut with Highlights & Vegetarian Miracle Treatment is a triple treat, inclusive of a haircut, highlights, and a Davines Vegetarian Miracle Hair Treatment to make sure your locks stay healthy and strong after dyeing. Simply show your peg to any one of Creations’ expert stylists (all personally trained by Lourd Ramos himself) and they’re sure to turn your hair dreams into a reality. And did we mention that this package is the most budget-friendly on this list? In the mood for highlights that are on the wild side? Benibana Beauty Salon offers colors from Manic Panic Hair Color’s rainbow shades, so you can choose more playful dyes like pink, purple, gray, blue, and more. 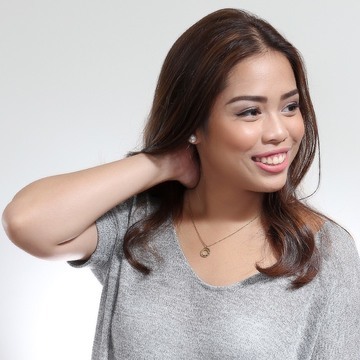 And if you’re a low-maintenance kind of gal, their Cut and Balayage Color Technique with Smartbond would be perfect since the balayage technique creates a softer-looking type of highlight wherein hair colors blend together more effortlessly than normal, with no foil or meche used to achieve the style. The more your mane grows, the more natural it begins to look, so say goodbye to monthly retouches! 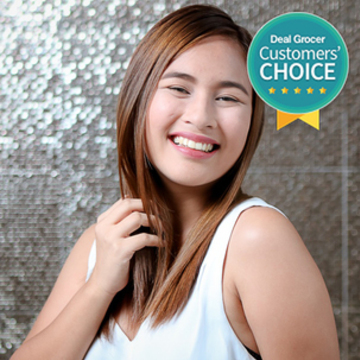 This best-selling package by Benibana Beauty Salon also includes Smartbond treatment to protect your hair from damage. Jesi Mendez Salon boasts over 40 years of experience in all things hair, so worry not and put your dearly prized tresses in their hands. Believe it or not, their Microhighlights is actually a technique exclusive to this salon only, with color being strategically placed in small portions of hair for that natural blend of shades. Add some brightness and definition to your face with this unique technique; one round of bleach is also included in this deal, so you can expect your highlights to really pop. Before your stylist sends you off, a Davines Mask with Vibrachrom will be applied on your mane to ensure that your newly-highlighted hair remains vibrant with long-lasting color. Japanese women have some of the most beautifully dyed hair in the world, and you can achieve the same look at Hair Salon Hide2A from Tokyo, an establishment headed by Japanese hair aficionados who are more than familiar with the meticulous techniques used in the famous capital city of the Land of the Rising Sun. Make your crowning glory shine with the Wella Color, Highlights, Lowlights & Brilliance Mask Treatment, which expertfully combines highlights and lowlights (the opposite of highlights which adds more darkness to your hair) to create an edgy but seamless look to your locks. Renowned brand Wella Professionals will be used to color your mane while a Brilliance Mask Treatment will be placed afterward for a shining and vibrant aftermath. Not sure which colors to choose from? Hair Salon Hide2A’s stylists will be more than willing to assist you and suggest which will look best based on your face shape and hair condition. 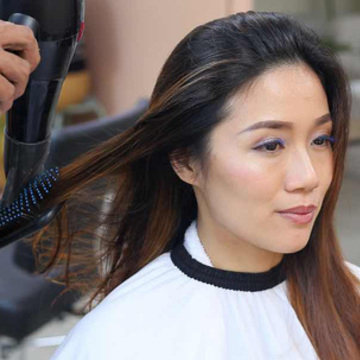 This 3-hour hair makeover comes with 2 rounds of bleach (for highlights) to help you achieve your desired results. It uses premium Davines Mask with Vibrachrom for superior color and shine. They add dimension and texture to your current hairstyle and you can get them done without the scary commitment of having your roots retouched every month or having every single strand of hair dyed. The long-lasting color will look more natural thanks to the addition of face-framing highlights. You won't even have to worry about your roots growing out with this low maintenance look. 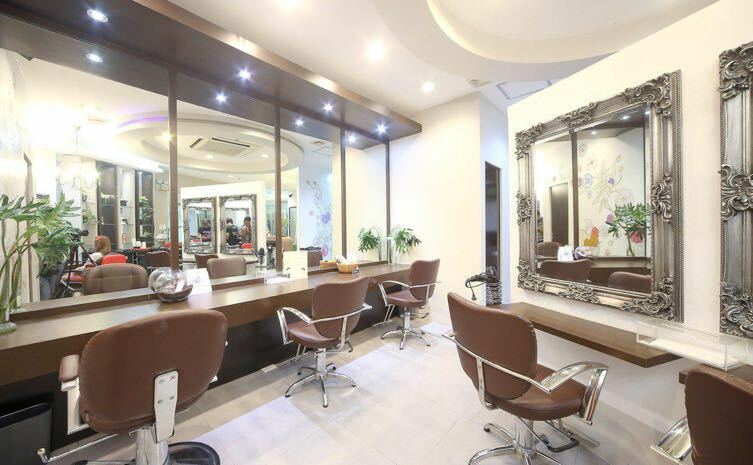 Another thing to love about this Pasig salon? 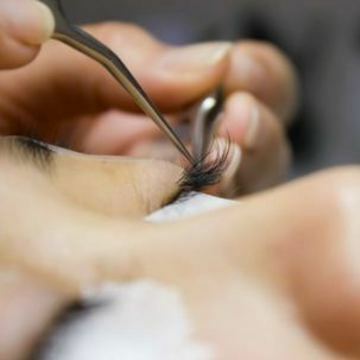 You'll be able to enjoy expert care of professionals trained by Lourd Ramos himself! Explore other beauty hubs, as well as dining and staycation spots in Metro Manila here. 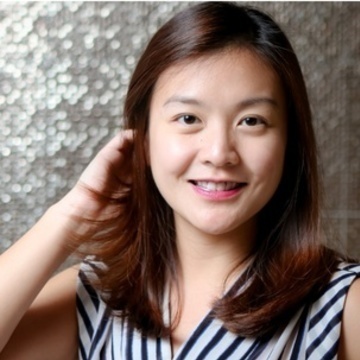 Kat Gutierrez is a former magazine editor who enjoys writing about pop culture, travel, beauty, and lifestyle. 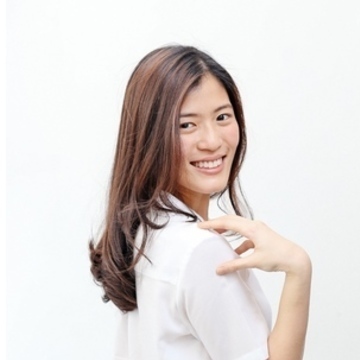 When not working, she loves hanging out at home, binge-watching random Youtube videos, and keeping up with the latest in Korean pop culture.